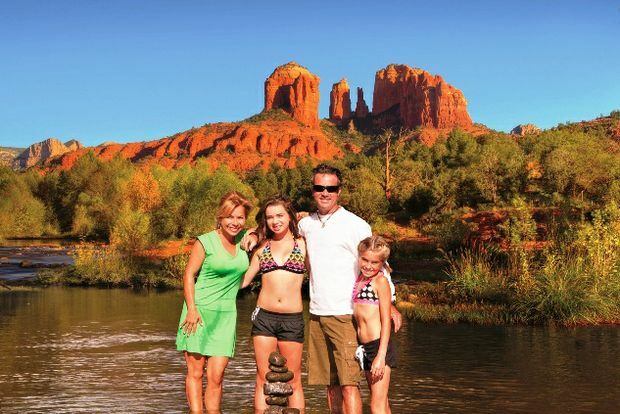 Southern California families are gearing up for another year of exciting travel adventures with their loved ones, according to the Automobile Club of Southern California. A new AAA Travel survey reveals nearly 100 million Americans – 4 in 10 U.S. adults – are planning to take a family vacation in 2019, slightly more than last year. 41 percent of those surveyed in California and throughout the West plan to take at least one vacation with family this year, and 69 percent of those who plan to travel will take two or more trips this year. Filomena Andre, the Auto Club’s vice president for travel products and services, said another emerging trend for California family travelers in 2019 is increased airline capacity to Hawaii prompted by Southwest Airlines adding routes from local airports. “The competition has already lowered airfares, making Hawaii family trips more attractive and affordable,” she said. For families planning road trips, gas prices have averaged about 10 to 15 cents lower per gallon locally in 2019 compared with the first few months of last year. Another recent AAA survey found that 33 percent of Americans would go on at least one additional summer road trip if gas prices remain low. Las Vegas to National Parks – Las Vegas is a convenient starting point for a road trip to the Grand Canyon, Bryce and Zion national parks. Any drive through the desert southwest is full of unique twists and turns, regardless of whether you remain on the interstate or head off along enticing back roads. Long the destination for gold prospectors and other dreamers, the mountains and valleys of the Arizona, Nevada and Utah deserts today provide a glimpse of mankind’s historical interaction with the area’s fantastic natural landscapes. Northern California and Southern Oregon Coast – The trip begins in California’s Central Valley, meanders through high elevation forests before turning west and snaking up the awe-inspiring Pacific coast. Not to be rushed, this extraordinary route is winding, narrow and flanked by the ocean and majestic redwood trees. As you make your way past beach towns and shifting sand dunes, you’ll find constant stops are necessary to photograph the stunning terrain. AAA recommends drivers keep their attention on the road by pre-programing GPS devices and adjusting seats and mirrors before driving. To remain focused safely on driving, drivers should enlist the help of passengers and not drive intoxicated or intexticated.